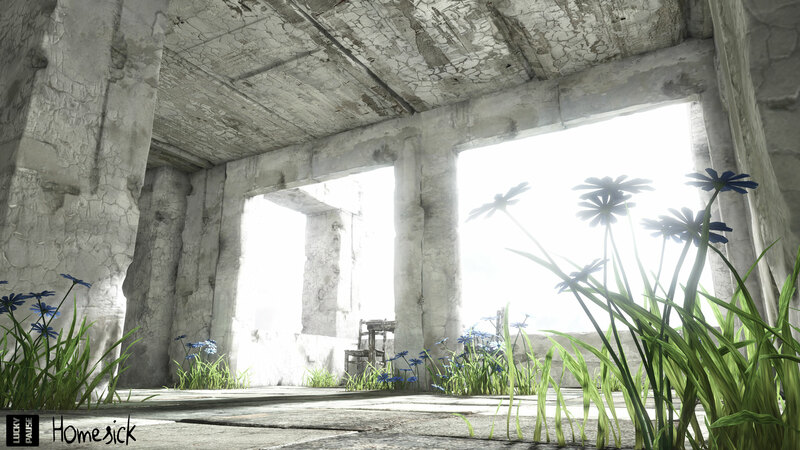 Homesick is an adventure/puzzle game currently in development by Lucky Pause. First launched in February 2013 by the popular fund-raising site, Kickstarter, the game grew exponentially when the project was funded by the first few weeks, and received almost 350% of their initial goal of $8,000. Since then, the developers, Barrett and Morgan, have been working avidly to produce this game within their promises. Stunningly enough, the game seems to be doing quite fantastically, even with a small fan base. 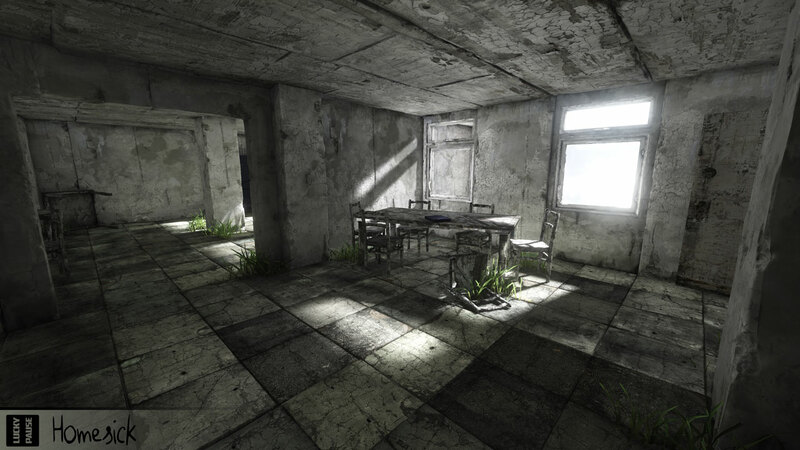 Homesick takes place in an abandoned building complex, which seems to be some sort of apartment building. You, as the player, explore the map to find various objects and tools to help you unlock more of the map. 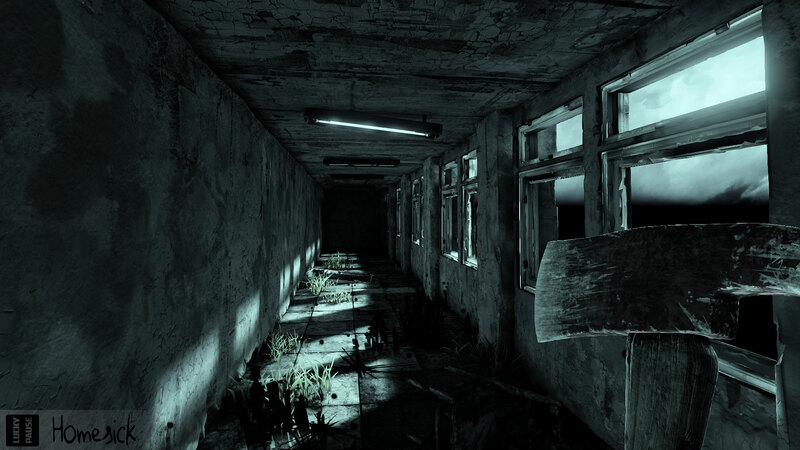 With soothing music to cool your nerves, the game doesn't actually have a dark vibe to it, but rather a happy one. Once puzzles are completed, you're able to drift on back to sleep. This isn't the happiest place. In your dreams, you are haunted by nightmares of the building, where you are aggressively trying to escape. With only the light to guide you, you must find a way out. Don't slow down though, or you'll be consumed by the darkness. Graphics in this game is what really caught my attention. For an indie game produced by two independent developers, this games graphics can be summed up in just one word: stunning. In absolutely no way did these guys slack off with their textures. By far, this is the most impressive indie title I have ever come across with to date. Some examples of my boasting can be seen below in the spoiler. Since this title is still in very early stages of Alpha, it's got a few bugs as well as a short story (as for now). More is to come from this title, and the release is expected to be sometime around this fall, as told by developer Barrett. Hopefully you enjoyed this very short review, sorry not much more can come out of it. Definitely check out this title if you have not already.